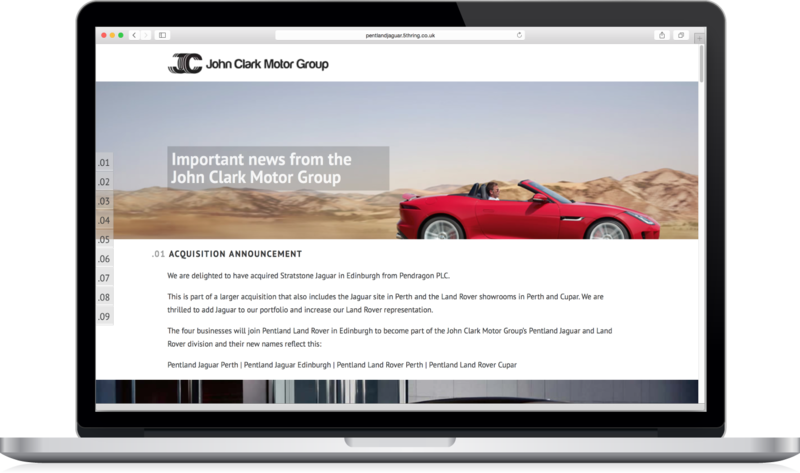 When John Clark Motor Group (JCMG) secured the largest acquisition in its history, they knew that media interest would be high and that communicating the right message could have a significant impact on the organisations and people involved. The message had to show that its brand portfolio had expanded to include two new Land Rover and two Jaguar dealerships, but it was also crucial that it handled the sensitive business transaction that was taking place appropriately. JCMG came to Fifth Ring in confidence to produce a fast-acting communications plan for the deal, which involved the transfer of more than a hundred employees to the family-run organisation. We hit the drawing board to consider the most effective way of implementing an integrated campaign, focusing on identifying the target audiences, the right channels of distribution and the key phases of employee, customer and media engagement with the company. Our objectives were to ensure timely and appropriate communications were delivered to existing and acquired employees and customers, as well as achieving positive coverage in local, national and trade publications. It was important that the target audiences – and the wider public – were receiving the right messages throughout the acquisition period. Fifth Ring worked closely with JCMG to craft a set of messages that expressed the recent successes and current objectives of the company, our messages needed to show JCMG as a passionate Scottish family business, that had experienced a record quarter and a record year. Its purchase of two new dealerships added to that success and it was important to emphasise JCMG’s commitment to the new business, as part of an ambitious three-year investment plan. The message had to reassure acquired employees of their job security, having joined the 800-strong family as part of an expansion that would connect the gap between existing JCMG operations. This meant helping them understand the relevance of the acquisition, which added two top quality, luxury brands to JCMG’s impressive range. The acquired employees were one of the most important target audiences of the campaign, being potentially the most concerned by the news. 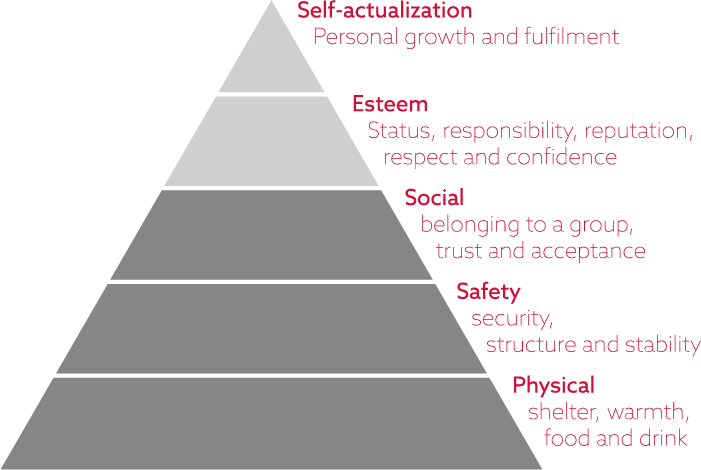 Applying a bit of theory through Maslow’s hierarchy of needs, we were able to ensure communications answered each of the first three stages. With plans underway to inform employees, the next key audience to deliver the news to was customers, both current and newly acquired. Personalised direct mail was the initial form of communication, then microsites were developed for each of the acquired dealerships. These landing pages provided a platform for audience interaction about the deal – a place people could ask questions about JCMG’s expansion, or recommend changes that might improve operations at the acquired sites. A media outreach programme was also put in place to provide the right messages to the media, general public, the wider industry and other stakeholders. In total, we communicated directly with 26,413 employees and customers through the campaign, which ran for approximately four weeks. Widespread media coverage was secured in local, national and trade platforms.